KATHMANDU, March 15: A team of the Federation of Contractors' Association of Nepal (FCAN) has drawn the attention of the Public Procurement Monitoring Office (PPMO) toward unnatural hike in prices of some construction materials in the market. It also apprised the PPMO that price hike of construction materials has affected several construction projects. 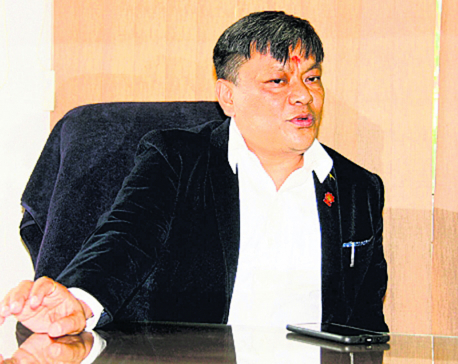 The team led by FCAN President Bishnu Bhai Shrestha met with the secretary of PPMO, Maheshwar Neupane, on Wednesday and apprised the latter of the difficulties that contractors are facing due to hike in price of construction materials like cement and steel rods, among others. Issuing a statement, FCAN said that it has also requested the PPMO to enforce the price adjustment provision as mentioned in Clause 55 (1) of the Public Procurement Act 2063BS. “If the price of any construction materials is suddenly increased or decreased by more than ten percent, price shall be adjusted by deducting ten percent in the amount so increased or decreased,” an excerpt of Clause 55 (1) of the Public Procurement Act 2063 BS reads. Construction materials like cement and rods have seen an unprecedented hike this year. Not only cement and rods, prices of other materials like sand and aggregate have also increased, according to construction entrepreneurs. Contractors and government officials have long been blaming the cement industries for price hike of cements since long this year. The Supplies Department had also said in January that the hike was an artificial one, and had also warned the industries to roll back the prices. But it did not happen.